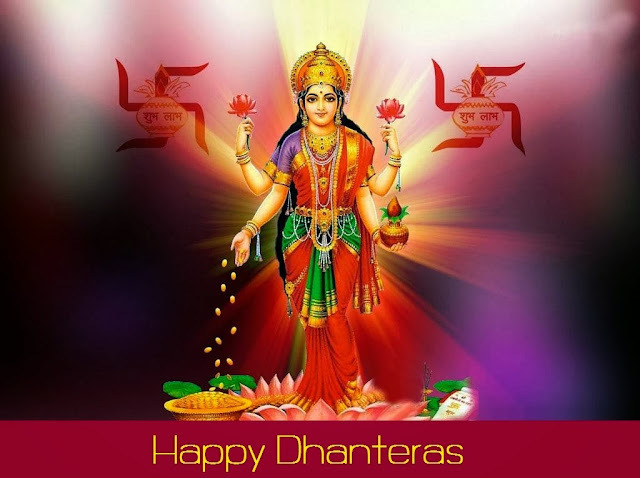 Indian Beauty Blog | Fashion | Lifestyle | Makeup | SparkleWithSurabhi : Happy Dhanteras and Diwali!! A Very Happy Dhanteras and Diwali To You!! May Laxmi Ma shower you with Wealth, Health and Prosperity. Dhanteras is festival celebrated two days before Diwali when the people of India purchase Gold, Silver and Utensils made out Khansa and Steel as it is considered extremely auspicious to do so. I Purchased the deliphium nose ring in 18kt gold with 0.03 carat single princess cut diamond for VVS EF Quality for the price of 4,000 INR. The reason why I purchased such a small diamond is because I just don't like to wear a very large nose ring every day. Do check out Bluestone.com for a wide collection of nose pins to match your budget, taste and style in 14kt or 18kt gold and white gold. or you can also purchase beautiful Solitaire Diamond jewellery from Caratlane.com ...it is good site to choose your engagement ring according to your taste and budget! I would also request you all to have a noiseless Diwali as every year many dogs go crazy and runaway from there homes some of them are found while many of die on the roads. 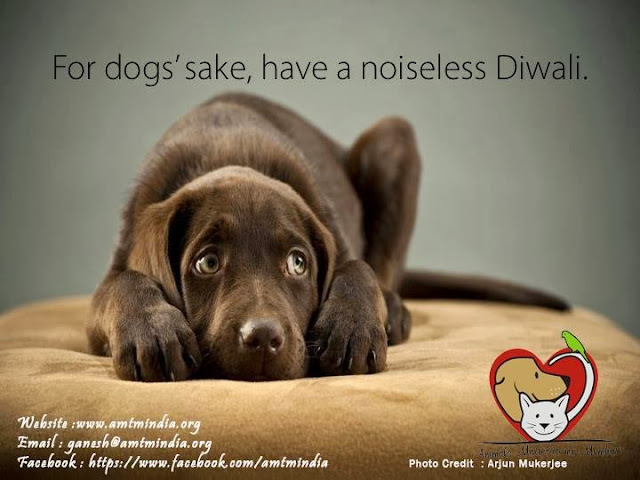 Please not to burst crackers and make too much noise instead celebrate Diwali the old traditional way, burn diyas and candles it will definitely help you to save your money and save lives of innocent street and pet dogs. In the end, I would like to Thank all of you for being supportive through out these years and for visiting my blog and for your warm wishes and Thank-you PETA India, I received beautiful Diwali cards from you this year. Please donate if you can at the PETA India site this Diwali and help them to vanish animal testing from the face off this planet. Please purchase cruelty free products to help them and animals. 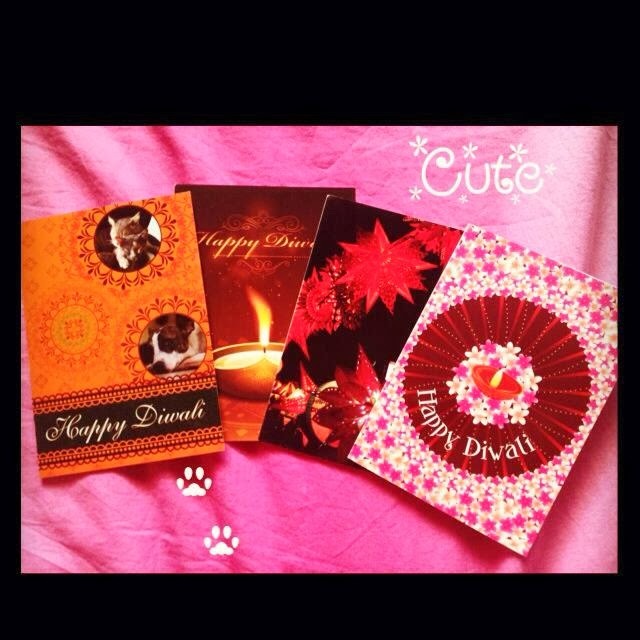 Diwali Cards from PETA INDIA. A Very Happy Diwali To You All!! Labels: bluestone.com, caratlane.com, Dhanteras, Diwali, diwali shopping, Happy Diwali, PETA, PETA India.